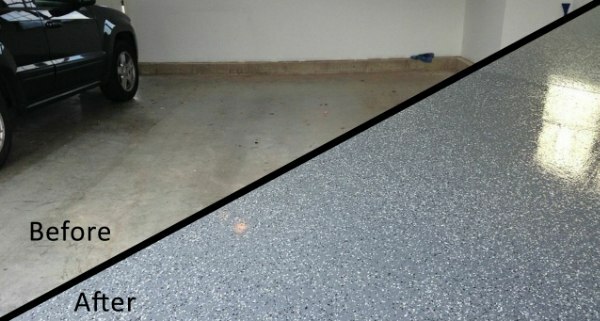 A complete 10 mil or thicker floor coating system, consisting of a colored primer base coat with colored vinyl flake, and a clear top coat. It can be applied in one day and the floor can be returned to full service within 24 hours of completion. 100% U.V. stable. The floor will never yellow. Call Randy at (860) 614-3860 for more information.